Wonderful retro-style racing car. In white metal. The bulk of the car is metal but the wheels have a rubberised tyre so dont worry, it won’t mark wooden floors. 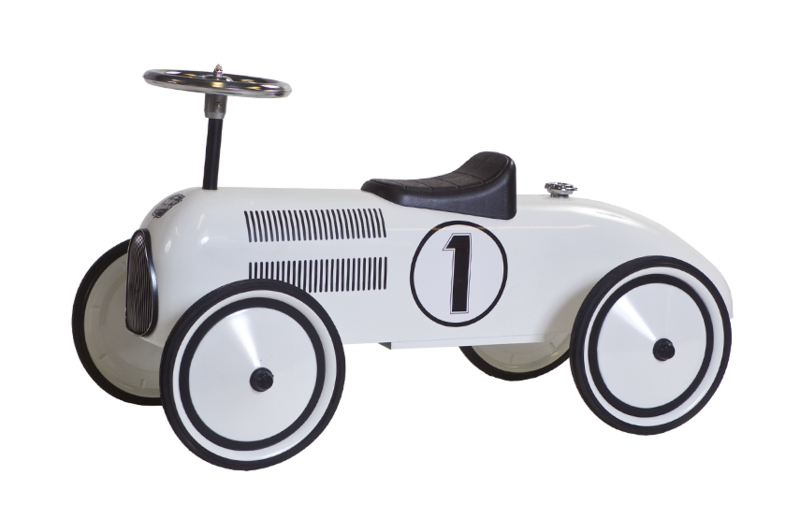 This vintage design will make a special gift for any young automobile enthusiast! 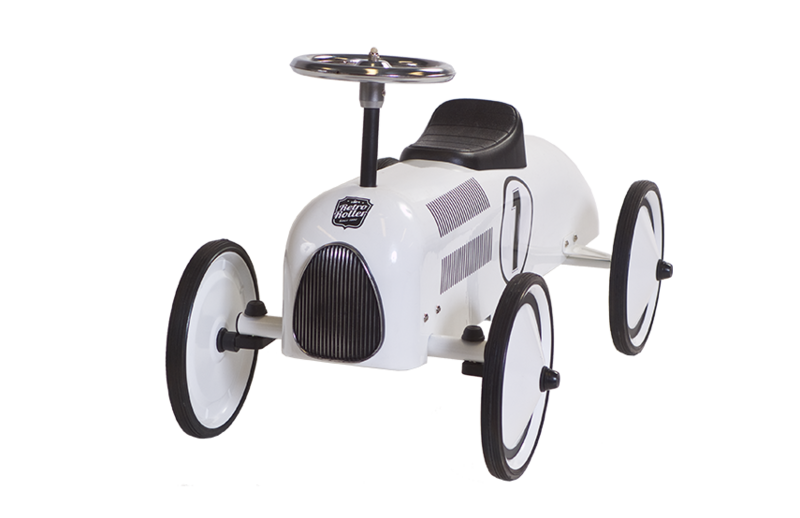 It is sure to make your toddler the envy of all their friends and the adults too!